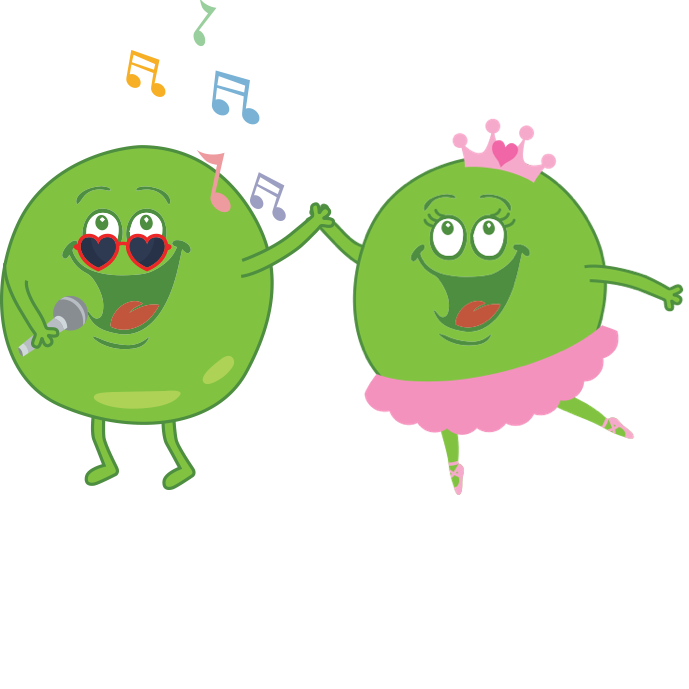 The Company provides the Easypeazy online marketplace for children’s activities. Use of Easypeazy is subject to these Terms of Service. Attendee means the person that takes part in, or attends a Booking, and generally refers to a child or dependent of the Customer. Booking means a booking for services offered by a Provider, and includes any Items sold as part of a booking where implied by context. Company means Eazypeasy Pty Ltd ABN 23 622 230 086. Customer means a registered user of Easypeazy that uses the features associated with a Customer account. Fee means a fee charged by the Company for use of Easypeazy. Individual means a person with Information about them in Easypeazy, and generally refers to a User or Attendee (or the parent or legal guardian of an Attendee where implied by context). Item means an item or product sold to a Customer as part of a Booking. Listing means a Provider’s profile or listing page, offering Bookings within Easypeazy. Provider means a registered user of Easypeazy that uses the features associated with a Provider account. 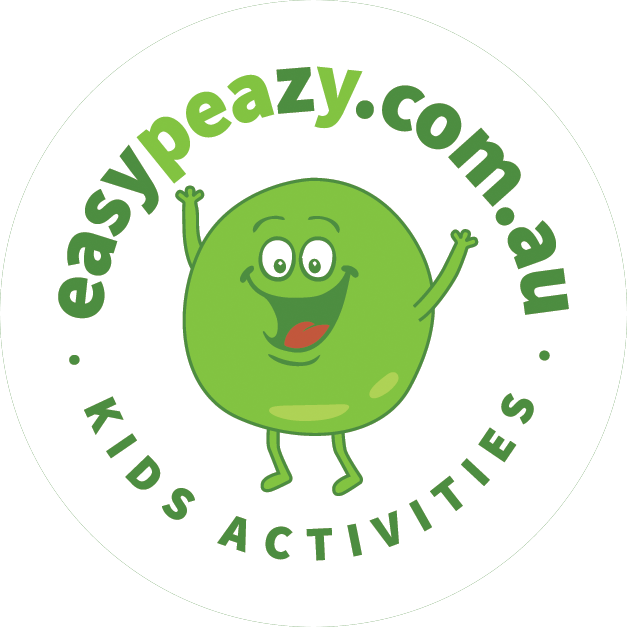 Site means http://www.easypeazy.com.au, http://www.eazypeasy.com, http://www.eazypeasy.com.au, http://www.eazypeasy.com.nz, http://www.eazypeasy.net.au and any other URL where the Company makes Easypeazy available from time-to-time. User means any registered Provider or Customer that uses Easypeazy, or unregistered user. User Content means images, information, documents or other data that is uploaded or input into Easypeazy by the User or that forms part of the User’s Intellectual Property. To use all features of Easypeazy, the User must log into Easypeazy and have set up their account. Many features will are only available to users that are signed in to Easypeazy. The User agrees that all use of Easypeazy is subject to these Terms of Service. Anyone over the age of 18 may use Easypeazy. People under 18 years of age must not use Easypeazy without their parent or legal guardian’s consent. The Company may restrict accessibility to Easypeazy to such locations, as the Company shall determine from time-to-time. The Company is under no obligation to make Easypeazy available in a particular area or location. Such other features Easypeazy may make available from time-to-time. Each Provider is responsible for ensuring the accuracy of all information described in a Listing. Must provide the Company with such evidence as the Company may require in order to verify whether it is the owner (or otherwise authorised by the owner) of the relevant business. The Provider is responsible for ensuring that it has all necessary qualifications, accreditations, licences or other credentials necessary to provide the goods or services subject to a Booking, including (without limitation) ensuring each person within the business that is required to have one holds Working with Children’s Check. The Company determines that the quality of services offered by the Provider are of low quality or not fit for purpose. The Company accepts no responsibility for the conduct of any User of Easypeazy. The Company accepts no responsibility for any interaction between Users, whether that interaction occurs via Easypeazy or not (including meeting in person for a Booking). If a User believes that another user’s behaviour is threatening, discriminatory, or deliberately offensive, the User may lodge a complaint to the Company via email at support@easypeazy.com.au. The Company may suspend or delete the account of any User that Easypeazy determines conducts itself inappropriately. Customers to confirm a Booking by making payment via the Listing. The Provider is responsible for ensuring that all Booking times and available spaces with a class or session, are advertised on a Listing are up-to date and accurate. The Provider must advise the Company directly if necessary to ensure the Listing remains accurate. The Provider is solely responsible for the additional conditions it includes in a Listing in accordance with clause 2.1(c). The Customer must comply with the conditions of a Booking set by the Provider. The Customer is responsible for each Attendee for whom they make a Booking. Ensure that the Item is of merchantable quality and fit for purpose. A Booking for an appointment, class, camp or session is not confirmed until the Customer completes payment via Easypeazy. Payments must be made by credit card, or as otherwise specified on the Site using the Easypeazy payment gateway. Once the Customer has made payment for a Booking, the Easypeazy may request any additional Information, as may me necessary for the Provider to provide the Booking. Such Information shall be provided to the Provider. The Company may take a Fee from the payment in consideration for facilitating the transaction prior to forwarding the balance of the payment to the Provider. The Company will pay the balance of any payment to the Provider once funds have been received. The Provider with a recipient created Tax Invoice for each payment it makes to the Provider. The quality, safety or fitness for purpose of any Item or service provided subject to a Booking. Loss or damage to property, or harm to the person of an Attendee or Customer caused by a Provider. The relevant Provider remains responsible for any such loss or harm under Australian Consumer Law. The Company reserves the right to suspend a Provider’s account if the Company receives a complaint about a Provider. Customers shall not pay any Fees on a transaction, or their use of Easypeazy. All payments shall be made via the online payment gateway within Easypeazy, or in such other manner as the Company may direct from time-to-time. The Company reserves the right to introduce or change any Fees from time-to-time by giving the User written notice. Any new or changed Fees will apply at the next transaction after the User has been given such notice. If a Customer believes it is entitled to a refund for a Booking, the Customer acknowledges that it must seek such a refund directly from the relevant Provider (including the value of any Fee). Despite a Provider’s cancellation and refund policy, the Company may at its discretion provide a refund or credit of some or all of the payment for a Booking where, by no fault of the Customer or Attendee, the Booking does not take place. The Provider shall reimburse the full amount of any refund the Company provides a Customer. Notwithstanding clauses (b), no other refunds are provided except where required under law. Easypeazy may enable the User to create User Content, but that by doing so the User shall not acquire an interest to any Intellectual Property owned by the Company, which may exist in Easypeazy. User Content is the sole responsibility of the person that provided the User Content to Easypeazy. The User indemnifies the Company for any User Content that is illegal, offensive, indecent or objectionable that the User makes available using Easypeazy. The Company may suspend accessibility to User Content via Easypeazy that the Company determines is illegal, offensive, indecent or objectionable in its sole discretion. The User warrants that it has all necessary Intellectual Property Rights to use User Content, and shall indemnify the Company for any infringement the User commits of third-party Intellectual Property Rights by using User Content on Easypeazy. In order to provide the services afforded by Easypeazy, where the User Content includes the User’s brand, logo or other intellectual property, it grants the Company a worldwide, revocable license to use the User Content, for the term of this Agreement. Where an Individual is a child, the Customer must obtain permission from the Individual’s parent or legal guardian prior to making Information available to the Company and Providers via Easypeazy in accordance with this agreement. Such other information necessary to make a Booking. The Provider authorised by the Individual to receive the Information and other personal information may have its own policy governing access to this information and the use of Easypeazy. It shall ensure all Information it has access to through its use of Easypeazy is kept and used in accordance with applicable privacy laws in the Provider’s jurisdiction. A User may be able to register as a User, access Easypeazy and use integrated features by connecting their account with certain third party services (TPS) (e.g., Facebook, Twitter etc.). When connecting to Easypeazy using a TPS the User warrants that they are not in breach any of the TPS’ terms & conditions of service. The User agrees that User access to Easypeazy may be unavailable if the TPS becomes unavailable, and that the User may lose functionality or content that is shared between the TPS and Easypeazy. The User may disconnect the connection between Easypeazy and the TPS at any time. By accepting the terms and conditions of this Agreement, the User is granted a limited, non-exclusive and revocable licence to access and use Easypeazy for the duration of this Agreement, in accordance with the terms and conditions of this Agreement. Where the Company modifies the terms, it will provide the User with written notice, and the User will be required to accept the modified terms in order to continue using Easypeazy. Managed and supported exclusively by the Company from the servers managed by the Company and that no ‘back-end’ access to Easypeazy is available to the User unless expressly agreed in writing. As a hosted and managed service, the Company reserves the right to upgrade, maintain, tune, backup, amend, add or remove features, redesign, improve or otherwise alter Easypeazy. The Company provides user support for Easypeazy via the email address support@Easypeazy.com. The User agrees that it shall only use Easypeazy for legal purposes and shall not use it to engage in any conduct that is unlawful, immoral, threatening, abusive or in a way that is deemed unreasonable by the Company in its discretion. The User is solely responsible for the security of its username and password for access to Easypeazy. The User shall notify the Company as soon as it becomes aware of any unauthorised access of its Easypeazy account. It accepts no responsibility for ongoing access to Easypeazy. The Company takes the security of Easypeazy and the privacy of its Users very seriously. The User agrees that the User shall not do anything to prejudice the security or privacy of the Company’s systems or the information on them. The Company shall do all things reasonable to ensure that the transmission of data occurs according to accepted industry standards. It is up to the User to ensure that any transmission standards meet the User’s operating and legal requirements. The Company stores data on servers based in Australia, operated by Amazon Web Services according to accepted industry standards. The Company shall perform backups of its entire systems in as reasonable manner at such times and intervals as is reasonable for its business purposes. The Company does not warrant that it is able to backup or recover specific User Data from any period of time unless so stated in writing by the Company. The Company has moral & registered rights in its trade marks and the User shall not copy, alter, use or otherwise deal in the marks without the prior written consent of the Company. Proprietary Information. The Company may use software and other proprietary systems and Intellectual Property for which the Company has appropriate authority to use, and the User agrees that such is protected by copyright, trademarks, patents, proprietary rights and other laws, both domestically and internationally. The User warrants that it shall not infringe on any third-party rights through the use of Easypeazy. Directly or indirectly copy, recreate, decompile, reverse engineer or otherwise obtain, modify or use any source or object code, architecture, algorithms contained in Easypeazy or any documentation associated with it. All content submitted to the Company, whether via Easypeazy or directly by other means, becomes and remains the Intellectual Property of the Company, including (without limitation) any source code, analytics, insights, ideas, enhancements, feature requests, suggestions or other information provided by the User or any other party with respect to Easypeazy. The User agrees that it uses Easypeazy at its own risk. The User agrees to indemnify the Company for any loss, damage, cost or expense that the Company may suffer or incur as a result of or in connection with the User’s use of or conduct in connection with Easypeazy, including any breach by the User of these Terms of Service. In no circumstances will the Company be liable for any direct, incidental, consequential or indirect damages, damage to property, injury, illness, loss of property, loss or corruption of data, loss of profits, goodwill, bargain or opportunity, loss of anticipated savings or any other similar or analogous loss resulting from the User’s access to, or use of, or inability to use Easypeazy, whether based on warranty, contract, tort, negligence, in equity or any other legal theory, and whether or not the Company knew or should have known of the possibility of such damage, injury, illness or business interruption of any type, whether in tort, contract or otherwise. Termination does not affect any of the rights accrued by a party prior to termination, and the rights and obligations under clauses 8.6, 8.8, 8.9, 8.10, 8.12, 8.13 and 8.14 survive termination of this Agreement. Prevalence.To the extent this Agreement is in conflict with, or inconsistent with any Special Conditions made under this Agreement, the terms of those Special Conditions shall prevail.